JUDICIARY - Romanian Justice Minister Tudorel Toader on Monday said a dialogue mechanism has been set up during talks held between the authorities and magistrates over emergency decree 7. According to the Justice Minister, the mechanism will result in a memorandum, so that each draft law proposed by the Government, beyond decision-making transparency, should be submitted to the Superior Council of Magistracy at least five days in advance so it can be analyzed, debated and approved. The Romanian official said one of the provisions in the decree allowing judges to be appointed at the helm of prosecutor's offices will be repealed. The announcement followed a meeting between Prime Minister Viorica Dancila and representatives of magistrates' associations and of the Superior Council of Magistracy at the Government headquarters in Bucharest. On Friday, magistrates in Bucharest and across the country protested against the changes to the justice laws, calling for the independence of the judiciary. Also in protest, several prosecutor's offices have suspended their activities this week. The anti-mafia prosecutor's office also decided to suspend its activity until March 8, during which time only emergency cases will be investigated. Citizens too protested on Sunday evening in Bucharest and other cities. Prime Minister Viorica Dancila has given assurances that the Government is willing to support all institutions in the field in order to ensure fair justice for all citizens. MOLDOVA - The Parliamentary election in Moldova on Sunday observed the legal and democratic standards, the Foreign Ministry in Bucharest announced on Monday. In turn, the OSCE said the ballot did not report any major incidents and was held in a professional and transparent manner. The pro-European opposition however labeled the vote as one of the most undemocratic in the history of the republic. Igor Dodon's pro-Russia socialists have won the largest number of seats in parliament, 35 out of 101. Second came the left-of-center Democratic Party, of the controversial oligarch Vladimir Plahotniuc, with 30, followed by the pro-European rightist ACUM alliance, with 26. Also, 3 independents and 7 representatives of the people's party, headed by the pro-Russia mayor of Orhei, Ilan Sor, will be represented in Parliament. Sor is accused of involvement in the stealing of one billion dollars from the country's banking system.  PRESIDENCY - Romania's President Klaus Iohannis has called on the Government to repeal Decree no. 7 and implement the recommendations of the latest report issued by the European Commission under the Cooperation and Verification Mechanism and included in the reports of the Venice Commission. According to a presidency release, the head of state said the new decree and the manner of its adoption pose a challenge to the separation of powers and violate the jurisprudence of the Constitutional Court, also ignoring Romania's obligations as an EU Member State. The President said that in any democracy, the judiciary cannot be subordinated to politics, and any quick modification of regulations to the benefit of certain people or groups cannot be described as an emergency. BANKING - Romanian Finance Minister Eugen Teodorovici on Monday attended the plenary session of the Chamber of Deputies for the debate of the effects of Decree 114, which has sparked discontent among banks and several businesses. Under the new decree, prices for natural gas and energy has been capped for the next three years, all bank assets will be taxed according to the ROBOR inter-bank rate, while the tax on gambling will also go up to 2% of the turnover. Minister Teodorovici said the decree supports local public authorities via the Development Fund, the construction sector and a better capitalization of potential in tourism. The bill is under debate in the Senate. If the Senate does not cast its vote until March 1, it will be automatically submitted to the Chamber of Deputies, the decision-making body. BRUSSELS - Candidates running for the position of Chief European Prosecutor will appear before the Committee on Civil Liberties, Justice and Home Affairs (LIBE) and the Committee on Budgetary Control in the European Parliament. The Chief Prosecutor will head the European Prosecutor's Office which is expected to start its work in 2020. The three candidates are Jean-Francois Bohnert of France, Laura Codruta Kovesi of Romania and Andrei Ritter of Germany. This month Bucharest and other large cities in Romania have seen manifestations in support of the former head of the National Anticorruption Directorate, Laura Codruta Kovesi, who was subpoenaed by the special section investigating magistrates. She is accused of abuse of office, bribe taking and perjury. Kovesi has dismissed all accusations, saying the charges will affect her candidacy. COOPERATION - Romania supports the need for a strong partnership between the EU and the Arab League to find common solutions to current developments, such as migration, radicalization and terrorism, as well as in order to deal with medium- and long-term challenges, such as climate change, sustainable development and the creation of new jobs, President Klaus Iohannis said on the sidelines of the first EU-Arab League summit, held in Sharm El Sheikh, Egypt. On Monday, participants adopted a statement highlighting the parties' decision to consolidate cooperation with a view to capitalizing on existing potential to ensure regional stability, prosperity and welfare. EUROPOL - The 4th meeting of the Mixed Parliamentary Control Group of Europol met on Monday in Bucharest. Attending were delegations of all Member States. EUROPOL was founded in 1995 with a view to preventing and combating terrorism and crime affecting several member states. EUROPOL director Catherine De Bolle said the agency's strategy for the coming years include the use of new technologies so that information is not simply collected, but also shared, based on an operationalization of IT capacities at agency level. Catherine De Bolle appreciated cooperation with the Romanian Police in combating cybercrime and drug trafficking. FLU EPIDEMIC - The National Institute for Public Health on Monday announced two more people died to the flu virus, raising the death toll to 151 this season. Both victims suffered from previous diseases and had not taken the anti-flu vaccine. According to the Institute, some 1.3 million people had taken the anti-flu shot.